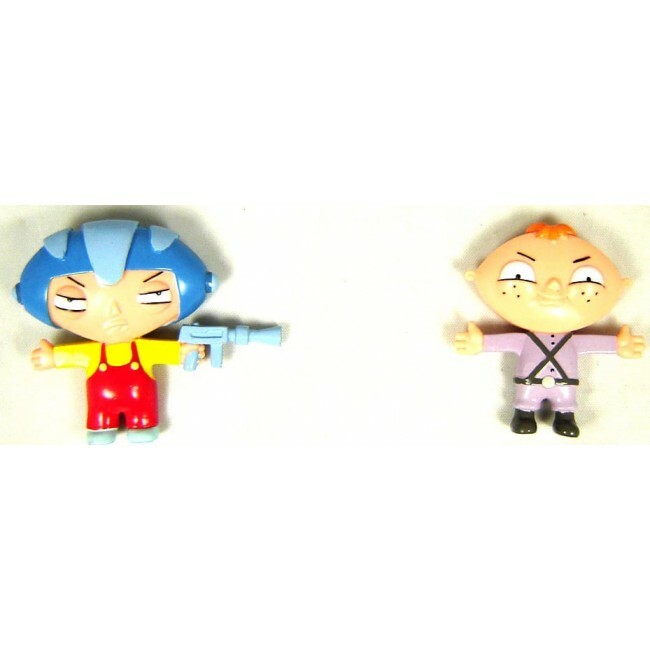 Family Guy Bendable Set Bertram & Stewie each mesures 2.5" long. For those who don't know who Bertram is, he is Stewie's half-brother. Be sure to collect all Family Guy bendables.